You’ve binge watched The Founder, Steve Jobs and Joy. The Innovator’s Dilemma is on your kindle. You’re fired up and ready to start the new year by finally launching your very own online business! Congratulations. You’re about to embark on a life changing journey that will, if you have the tenacity to survive, lead to financial freedom. And you aren’t alone. Here’s five successful millennials that quit their day job, too. Starting an online business in 2018 is a fantastic way to capitalize on a surging economy and skyrocketing consumer confidence. Let’s take a dive into some of the year’s best online business opportunities for ambitious entrepreneurs. Affiliate marketing has evolved quite a bit over the years. Companies rely on online marketers to create websites that help consumers make informed purchasing decisions. If your website is used by a shopper to research a product or service, you gain the opportunity to score a commission for the sales your content generates. Create a blog (more on that in a moment) with helpful content. Include links to the products and services you cover in your articles. You can earn a juicy commission for sending your blog’s traffic to the specific product page where they can add the item to their cart and complete their online purchase. Create a website that compares different products or solutions that consumers need. When they visit your site, their browser will accept an affiliate cookie. If your cookie is present when they complete an online purchase at the websites of one of your affiliates, you’ll earn a commission based on their total shopping completed before your cookie expires (usually 30 days from the date of their visit to your site). This means you can cash in on multiple purchases from a single visit to your site. Create an email marketing list. You can generate this with the help of a blog, eBook or social media presence. The goal is to build a list of consumers that are interested in the products and services that your affiliates are selling. Then, utilizing email service, blast out an email with special coupons or discount links. Where can I sign-up to become an affiliate marketer? 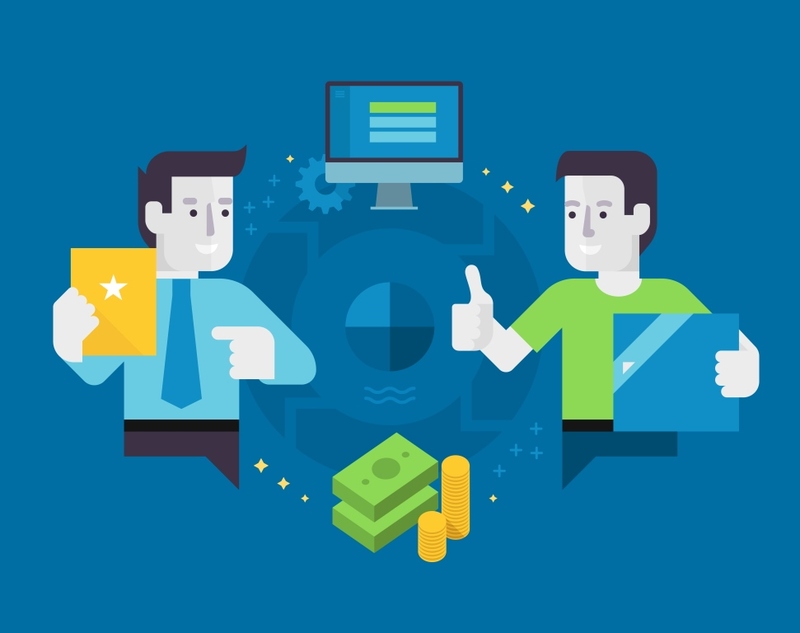 The first step in becoming an affiliate marketer is finding a company that is willing to pay you for promoting their products and services. When you sign-up as an affiliate, you’ll receive a promo code that you can provide customers, as well as a referral cookie that you’ll install on your website. If a shopper uses your referral link, or visits your partner site after picking up a referral cookie from your site, you’ll earn a commission on their completed purchases. It’s normal for commission checks to be sent 30-60 days after a successful transaction – this allows for returns or fraudulent transactions to be factored into your total affiliate commission. Pro Tip: If you’re going to sign-up for multiple affiliate marketing programs, carefully study the terms and conditions for each program. There’s nothing worse than working hard to earn customers for your affiliates, only to lose commissions due to a technicality. I love affiliate marketing because the number of customers shopping online is only increasing. In fact, many studies point to the fact that the majority of consumers prefer shopping online to the traditional retail shopping experience. That’s great news for affiliate marketers looking to increase revenue by tapping into a growing market. 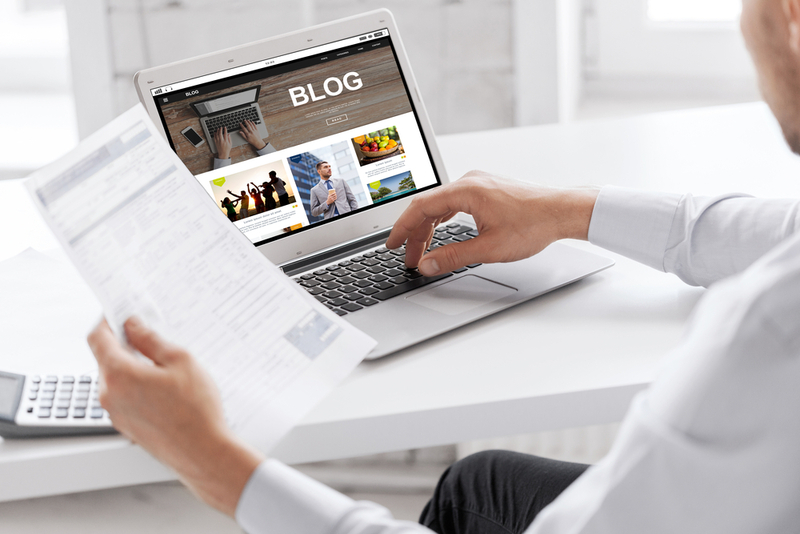 Creating an engaging, informative blog is a great way to grow your personal brand. You can insert affiliate marketing links in your content (see above), or leverage new opportunities based on your brand visibility. And, the best part, you don’t have to build a massive team or put in 20 hour days to build your own blogging empire. Most successful blogs are managed by individuals or very small teams (2-3 people, max) that focus on creating amazing content that stands the test of time. Your website / blog should be narrowly focused. The topics you write about need to be closely related to each other. For example, Catalyst For Business is dedicated to helping startups and solo entrepreneurs earn a ton of money. You won’t find a lot of content that ventures beyond that mission. That’s because Google loves to send traffic to websites that showcase their expertise in a specific area. You need personal, intimate experience with the topics you’re writing about. It’s hard to create useful articles that keep an audience’s attention if you lack personal experience with your topic. By sharing your personal experience, you’ll be able to add context to the solutions you’re offering. After all, the goal of an epic article is to solve a problem for the reader – whether that’s learning how to paint a front door, provide juicy gossip about a celebrity, or entertain the reader with a fun story that helps them keep boredom at bay. Use a content management system (CMS) that is easy to manage and improve. I personally recommend WordPress. That ability to install third-party themes and modules allows for even novice internet users to create visually stunning, user-friendly websites. This really makes a difference when you realize something is incorrect or needs to be updated, and you don’t have room in the budget to pay for a web design professional to complete a rush order. Search Engine Optimized (SEO) website that generates organic traffic from search engines like Google, Bing and Yahoo. When a search engine crawls your website, you want them to easily be able to identify what your blog articles are about. Or, in other words, what questions can your site answer for the people typing questions into their search engine. There are an endless number of topics that you can blog about. Because of the huge number of people using the internet (3.8 billion people and growing rapidly), even the most boring topic has thousands and thousands of potential readers. In conclusion, you can absolutely make money online in 2018. Whether you want to try and sell other people’s products (affiliate marketing), or create compelling content for internet users to read, you can monetize your time spent online. I’ve only covered the tip of the iceberg. In future posts, I’ll look at ways that you can earn money from teaching online courses, authoring eBooks and providing professional consulting services.